Pro Carpet provides professional emergency water damage restoration services to home and business owners in the Atlanta, GA and Tampa, FL area. 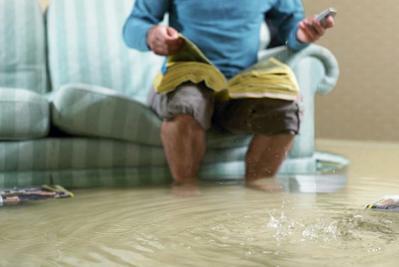 Our water damage response team is available to help 24 hours a day, 7 days a week, 365 days a year. Our certified restoration technicians are trained and experienced in mitigating damage resulting from broken water pipes, sewage backup, rainwater seepage, roof leaks, and broken hot water heaters. We are focused on maintaining rigorous training and research in water damage restoration, which is why we are industry leaders. We can get your home or business dry and structurally sound quickly so you can get back to your normal routine. We will bill your insurance directly, and we are on many insurance company's preferred vendor lists. All of our restoration services carry a lifetime satisfaction guarantee. Call Our Emergency Response Line At 770-425-4086! Any time, any day -- the experts at Pro Carpet are ready to help.